The placemat is an important supporting role on the table, both visual and functional, sincerely recommended! 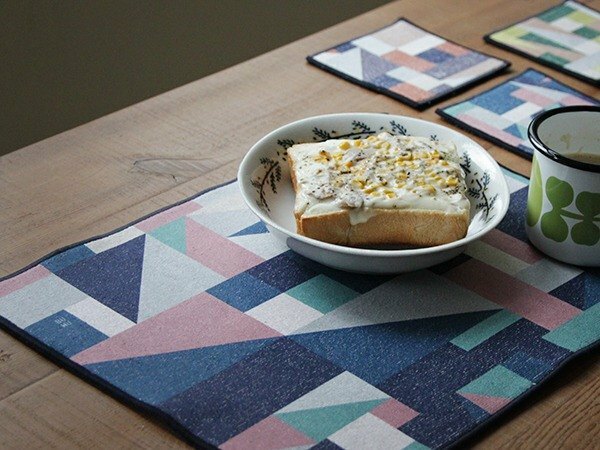 (The cloth design does not provide a small amount or a single piece of personalized customer service) https://c3.staticflickr.com/6/5481/30758599922_ecc074b751_o.jpg The placemat is an important supporting role on the table. Set off every sacred meal, it is a daily necessities that can easily adjust the interior color. Not only is it suitable for newcomers who are just getting married, or friends who are staying in a new home. Can also let people who have a nap habit, I have a cushion on my elbow on the table. Both visual and functional, sincerely recommended! ►Commodity features: Commodity fabric is a newly developed material of the brand. Its thickness makes it enough to be used as a heat insulation mat. It absorbs water well and uses cloth to design the autumn and winter 2016 fabrics. The treatment of the surface color blocks is not a whole color. It is interlaced to reveal the color of the fabric itself, and it has a flavor. The cloth flower is controlled as follows: Yan Lei https://c3.staticflickr.com/6/5593/30241506594_6bf32ee46d_o.jpg 2. Guncheon (sold out) https://c3.staticflickr.com/6/5686/30241506394_f47c4ecf48_o.jpg 3. Rice bran https://c3.staticflickr.com/6/5527/30241505954_f6b20a4cff_o.jpg 4. Hidden (sold out) https://c5.staticflickr.com/6/5470/30241506124_21e926c6c5_o.jpg Tundra https://c7.staticflickr.com/6/5687/30241506654_f364fb060c_o.jpg The back of the product is light gray, which is less likely to be dirty than pure white! ►Product size: Approximately 30 cm x 40 cm (size ± 1 cm is normal). If you want to go shopping for smaller sizes, please go to 毛巾 Towel pot mat https://www.pinkoi.com/product/Zzjn6MzD 毛巾 Towel coaster https://www.pinkoi.com/product/z9GTpgmX Cloth is the same as hair, with the same and reverse, if you feel it looks up, Please try to straighten it out in all directions to restore the original appearance. ►Washing instructions: **pay attention** [Towel table mat series] After cleaning the product, due to the relationship between the flexibility of the fabric and the fabric, It will be "wavy" around, this is normal, please don't worry, If you don't have an iron next to you, you can use books and heavy objects and press them on the mat. After a while, you will gradually return to flatness. If there is an iron, it is recommended that the cloth be back and forth and ironed to speed up the flatness of the fabric. The fabric is recommended to be washed with cold water or normal temperature water, and dried flat, just like taking care of the towel. If the surface is dirty, use a shower gel or shampoo to gently rub it, then wash it with water. Do not use hard. Brush the brush hard. Made in Taiwan handmade Made in Taiwan / handmade / Limited Edition [Intimate reminder] 1. The color difference of the photo has been adjusted to the minimum. The color of the product will still be inaccurate due to different computer screen settings. The color will be slightly different depending on the lighting of the shooting environment. Please refer to the actual product. Every time there is a color difference in the printing of each batch of fabric, please let the buyer know that it is acceptable before purchasing. 2. The cloth design does not provide a small or single piece of personalized customer service. 3. Each shipping cost includes the handling of merchandise finishing, manual packaging and logistics personnel. 4. If you have any questions about the product, please ask before the payment is completed! 欢迎 If you have any questions, please feel free to contact us.